Bright sunshine yellow flowers; 4 sprays plus a pretty posie. 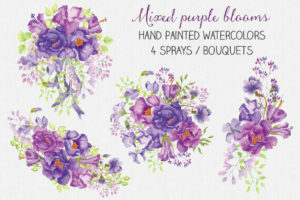 These watercolor clip art sprays in sunny buttercup yellow blooms will bring a touch of spring to your designs. 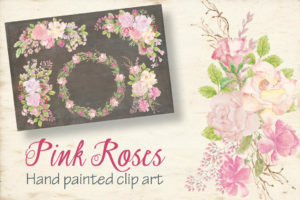 This hand painted clip art is ideal for wedding and other stationery, labels, logos, packaging, scrapbooking, decoupage and all paper-based crafts. The listing includes 4 sprays plus a pretty bouquet. Spray 2 measures 5.5 X 8.5 inches (1650 X 2550 pixels). Spray 3 measures 9 X 5.5 inches (2700 X 1650 pixels). Spray 4 (the bouquet) measures 8 X 9 inches (2400 X 2700 pixels). Spray 5 measures 6.5 X 7 inches (1950 X 2100 pixels). 1 zipped folder is immediately available for download following purchase, containing the 5 sprays (JPEG and PNG) – 10 files.